Super Clear Polyproylene Cupcake Bag is specifically designed to fit our 14x10x4 cupcake boxes and a mix-n-match of smaller sizes! Also ideal for various other take out purposes! size: 16 x 10.25 x 12"
Our custom made clear cupcake takeout bag is the ideal bag for your cupcake and bakery business! This take out bag was specifically made to perfectly fit our 14 x 10 x 4" cupcake boxes. The crystal clear, recyclable polypropylene plastic is designed to allow your boxes and cupcake/baked goods to be easily shown off. This bag also has a cardboard reinforced bottom that lets your boxes be inserted quickly and lay flat. Its rigid handle is specially made for heavier weights! Able to hold 14x10x4 cupcake box plus a mix match of smaller sizes! Q: What is the shipping cost for this item for 2 cases to Quebec (H7V 1H7) and how long for shipping? Thanks! A: My recommendation is to put your items in our shopping cart. 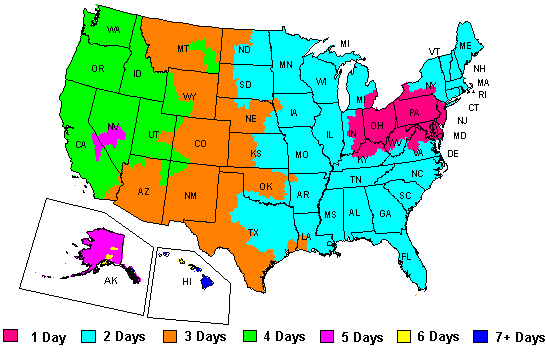 To view your estimated shipping costs, select the orange colored rectangle labeled 'Estimate Shipping". Enter your information and you'll get an idea of the cost. This is the cost to the border. Any other taxes/tariffs will be the responsibility of the buyer. Q: Clear Cupcake Take Out Bags with Handle 16 x 10.25 x 12" (100 / case)Are these bags available to print a logo? If so, how much? If not, do you have other imprintable bags available to fit a 14"x10" cupcake box? A: If you are using a 14x10x4 cupcake box which is our best seller, and you want a imprintable bag we have several options, but yes the clear one you mentioned is a very popular one. If you use a custom printed cupcake box you can see through thte bags because htey are crystal clear. The costs vary depending on how many bags you want your logo on and how we need to print them, how many colors, how much print coverage, if it's with ink, oor hotstamoping, etc. Best to call us to discuss the details. call 888-321-2248 and we can help. Q: I would like the clear plastic bag with my company logo. How much would this cost? A: I'm sure that would look sharp. However, in order to quote you pricing, due to the number of vaiables involved, the best thing to do would be to give us a call at 888-321-2248 or go here and click the "Get Started" button to fill out a quick form. Thanks much. Clear Take Out Bags with Handle 12.5 x 10 x 12"